Our Designer Balloons are custom made by FYP graphic artists to coordinate with a variety of party themes. Balloons are sold in sets of three and are available in select colors for best legibility. Ribbon is not included. 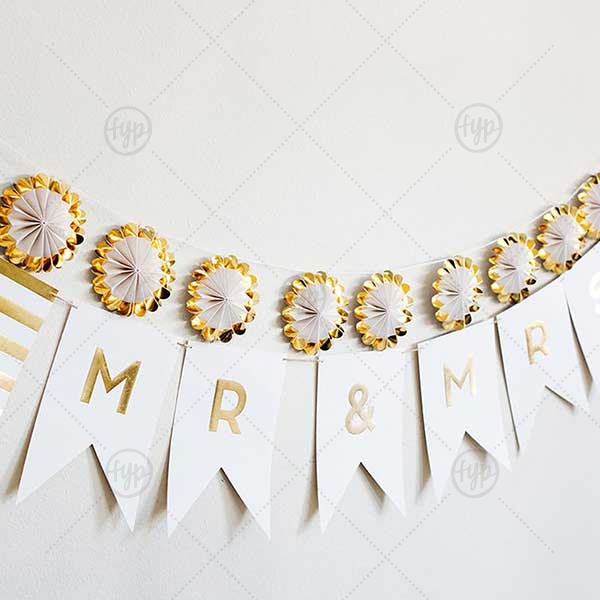 Top-quality decor fans, banners, chains and confetti are available through partnership with MyMindsEye. These easy-to-use products are perfect for quick and reusable decor. Simple assembly is required for some products. Instructions included. Our Fancy Mr. & Mrs. Letter Banner will impress guests like no other. Make this party unforgettable. Orders delivered as soon as 04.22.2019. Exclusions apply.